It is a particularly good time to eat noodles in the San Gabriel Valley. From Shanxi-style Wife’s Special Noodles with stewed tomato at Laoxi Noodle House to slippery Yunnan rice sticks served in bubbling broth at Ludingji, an already-superb restaurant scene is suddenly awash in regional specimens from across China’s many provinces. Waitress Nicole Lee at Best Noodle House. But if you’re going to slurp only one bowl this month, consider xiao mian. 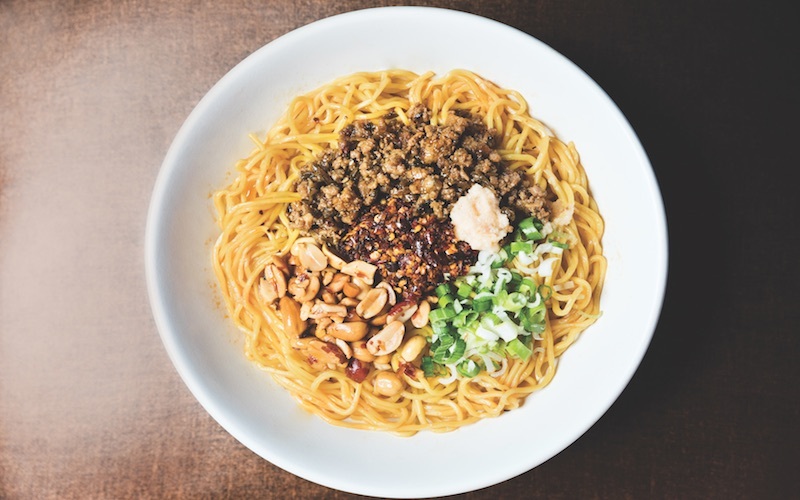 Colloquially known as Chongqing noodles—a reference to the Chinese municipality where the dish is a street-vendor staple—xiao mian is a simple thing: thin, springy coils of noodles smothered in a fiery, oil-slicked sauce made from pulverized chiles and a prickly dose of Sichuan peppercorns. It can be ordered dry, heaped with ground pork and peanuts, or swimming in tangy vinegar-laced broth. The effect is the same. Once you’ve pulled a chopstick-load of strands toward the sky and inhaled them, your nose starts to run and beads of sweat form at your temples. You are at the mercy of the noodles now. The sprawling, mountainous city of Chongqing was formerly part of Sichuan province, and much like that of Chengdu (Chongqing’s more cosmopolitan neighbor), the local cuisine is known for a maniacal obsession with hot chiles. Despite its humble status, xiao mian has gained a mass following across China in the past few years, thanks in part to a social media star who categorically ranks Chongqing noodle shops. 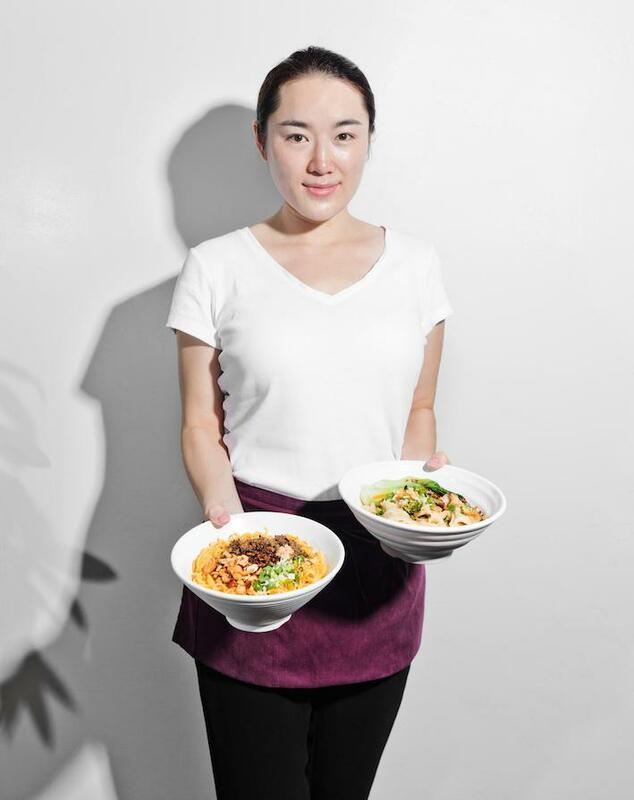 Yet it wasn’t until Tony Xu, owner of the landmark SGV restaurant Chengdu Taste opened his gourmet noodle shop, Miàn, early last year in San Gabriel that Chongqing noodles made their debut here—and even then, most felt the necessary crackle of heat wasn’t up to snuff. Then arrived the boldly named Best Noodle House, a shining beacon specializing in not just stellar xiao mian, but nutty Chongqing-style dandan noodles and hand-pulled, cumin-kissed youpo noodles, each coated with subtly distinct sauces that hum with mala (“numbing spice”). Best Noodle House in Rosemead. Best Noodle proved so popular among the SGV crowd that in June its chef left to launch his own spot less than two miles away, Chongqing Special Noodles. Which is superior? The offshoot has the edge with its addictive sauces (and larger menu), but the original is home to firmer, stretchier noodles. Until the dust settles in the Great Noodle War of 2017, better to bounce between the two. 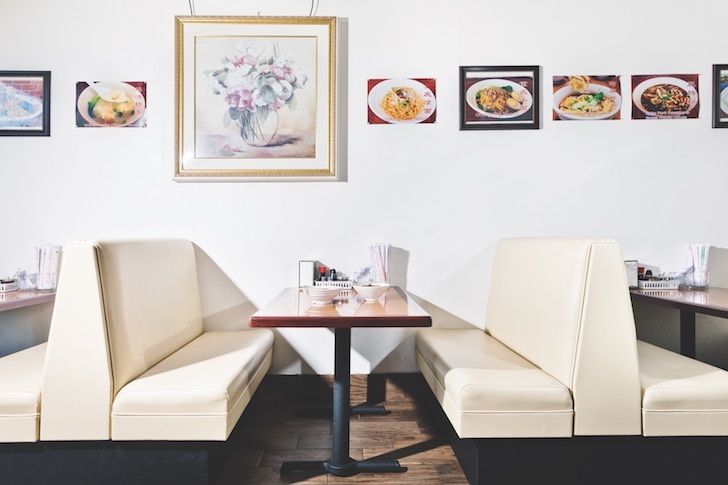 RELATED: The Best Chinese Restaurants in L.A.